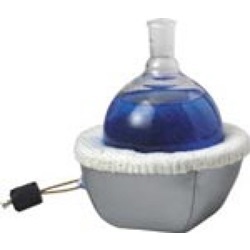 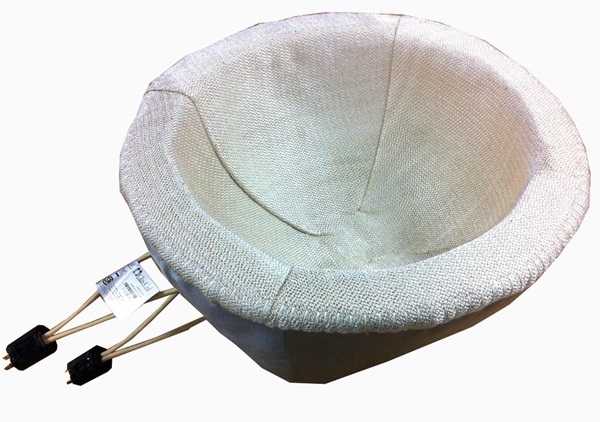 Heating mantles are preferred to Bunsen burners or hot plates for organic liquids. 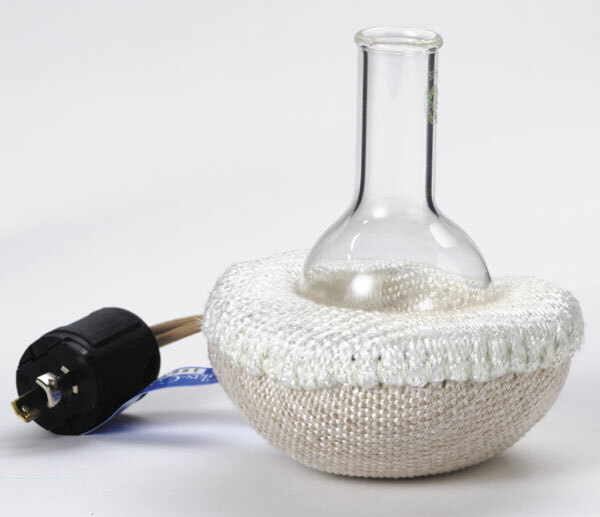 They provide even heating (no hot spots) and maximum surface coverage for better temperature uniformity. 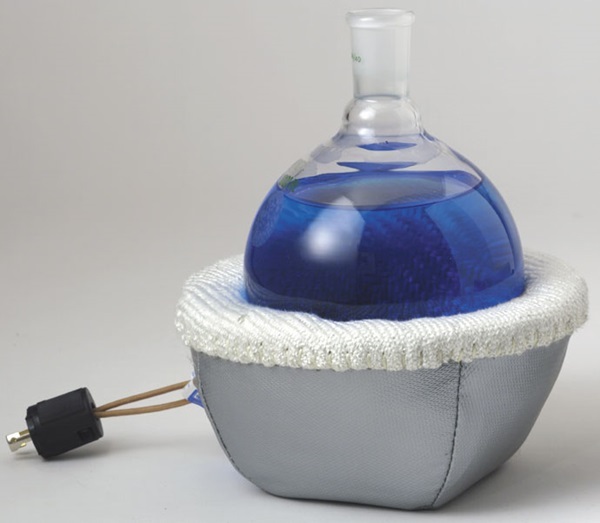 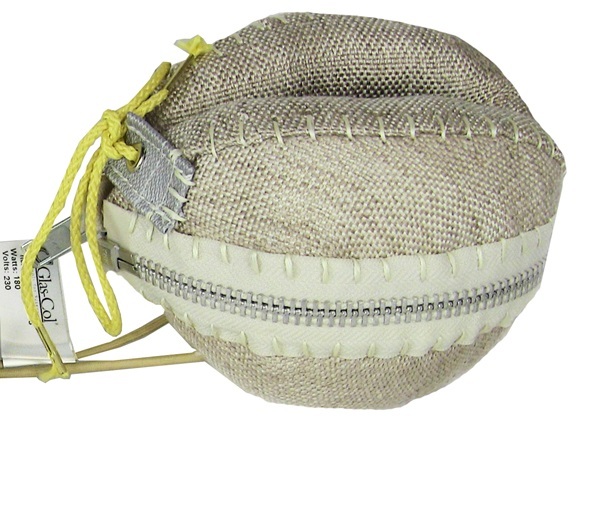 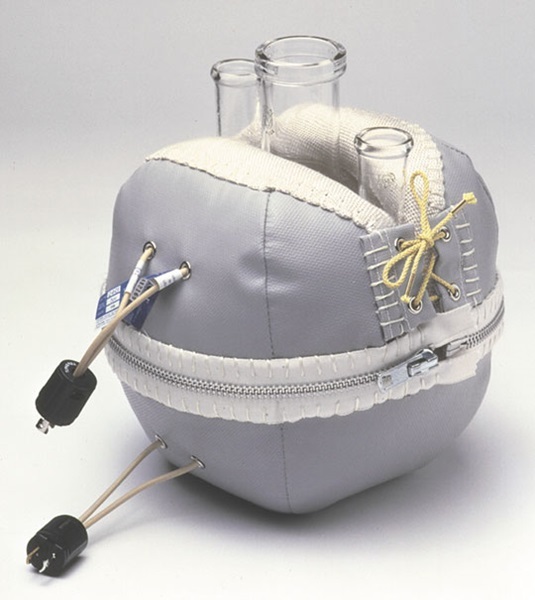 The Series O spherical flask mantle covers only the flask's bottom half, letting you see its full contents. 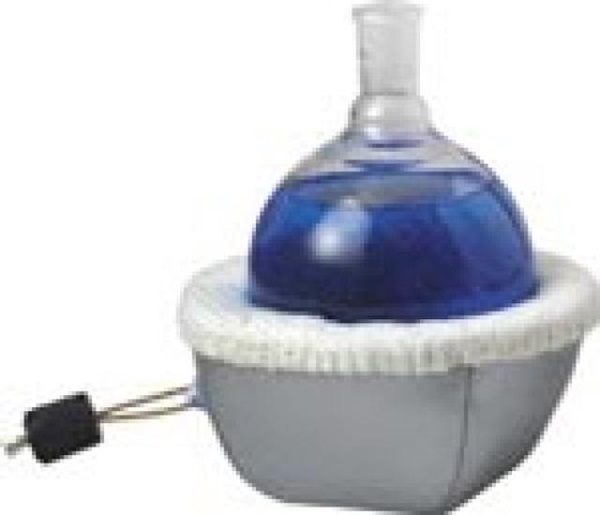 It should be used with the Series O supports.